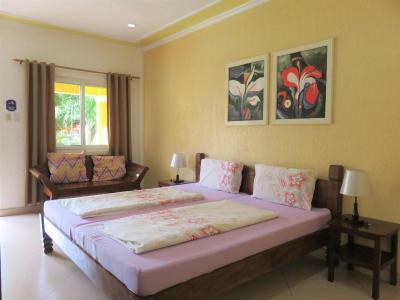 Lock in a great price for Malapascua Garden Resort – rated 8.4 by recent guests! 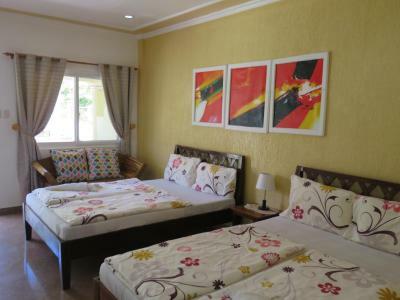 Lovely spacious room, very stylish in decor. Nice little private garden area. Good aircon, very comfy bed. 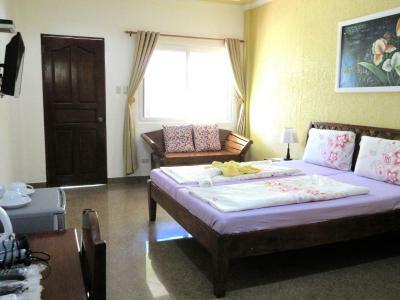 We have picked MGR because it was not as expensive as hotels situated directly on the beach, but it looked like it was just a short walk to 1 of 2 beaches nearby. It turned out that everything we might need is much closer than we anticipated. We are very happy with our stay. 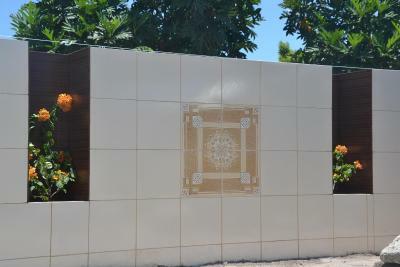 Especially we would like to point out excellent service that started even before we arrived to the resort. 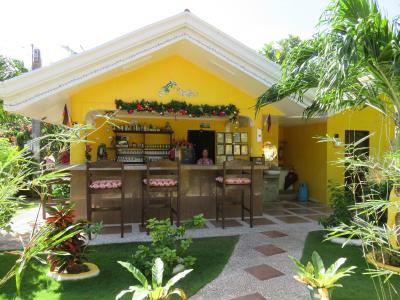 Luz is very kindly arrange for private car pick up to take us to Maya port (2,500 pesos). Then lovely Anne greeted us at the reception and delighted us with her heartwarming laugh every time we spoke to her! Breakfast is served between 7:30am and 10am and is a la card which means everything is fresh and cooked to order. Rooms are clean, water pressure is great and water is properly hot (which was a must for us, after reading other hotel reviews). 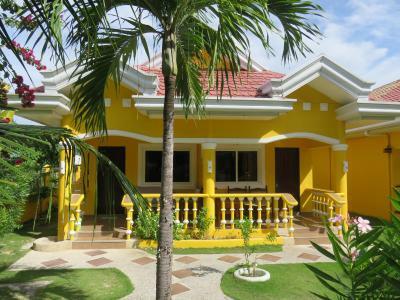 We'll be definitely recommending to stay at the Malapascua Garden Resort to all of our friends and be happy to go back again! The hotel had thought of everything, especially the tap outside every room to wash off the sand. 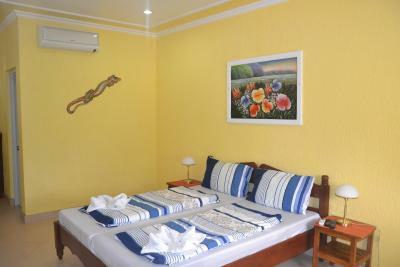 Large spacious room, with plenty of space in the porch to dry clothing (after a day of diving). Comfortable stay. The garden was stunningly beautiful and well-maintained. House-keeping was prompt to help us change towels and bedding. Good breakfast selection Manager was very friendly and cheerful. i like it very much.the place is much more beautiful than the pictures.very cozy.the staff are helpful and friendly.sure to come back again. 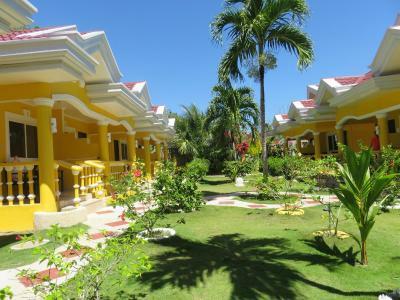 Malapascua Garden Resort is an oasis in an otherwise jumbled mix of motley businesses on this diving resort island. 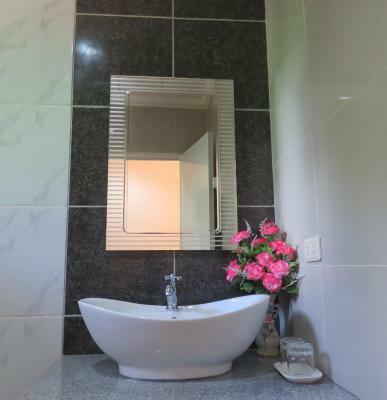 It features quality construction and lovely aesthetics - a surplus of power ports in the rooms and effective air conditioning combined within a very welcome garden setting that disappears quickly the moment you leave the property. The management and staff are knowledgeable and helpful from helping with arrival arrangement until assisting with departure. 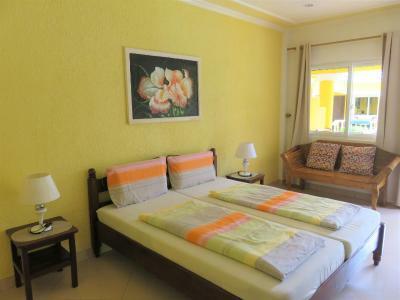 Malapascua Garden Resort This rating is a reflection of how the property compares to the industry standard when it comes to price, facilities and services available. It's based on a self-evaluation by the property. Use this rating to help choose your stay! 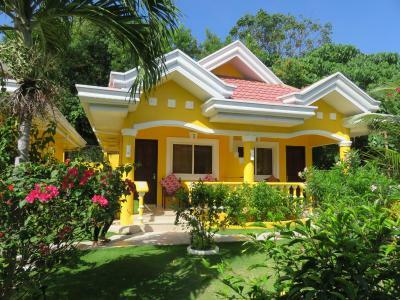 Featuring a verdant garden and free WiFi throughout the property, Malapascua Garden Resort is located within the island of Malapascua, 3-minute from Bounty Beach and 1.4 mi from the Lighthouse. 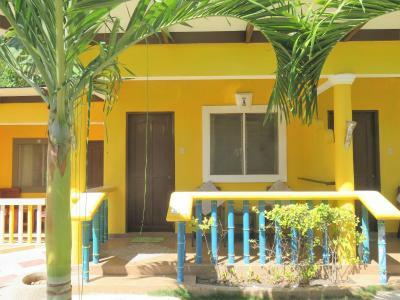 Offering views of the garden, air-conditioned rooms are fitted with a wardrobe, a 32-inch flat-screen TV, and a safety deposit box. 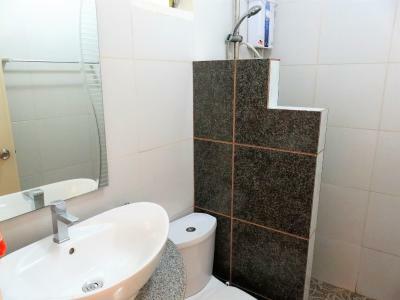 Private bathrooms come with toilet and hot shower facilities. A mosquito net is also provided. The in-house MGR Bistro serves a selection of light snacks and drinks while a la carte breakfast and room service is also available. 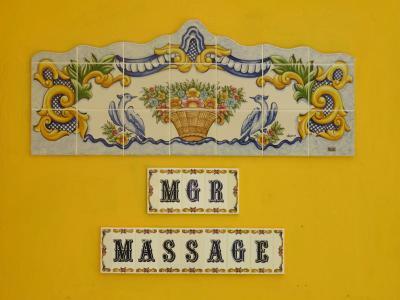 Resort staff can assist with arrangements for massages, snorkeling, diving and various sightseeing tours. Packed lunches can be provided and babysitting services are available. Airport shuttle service is offered at a charge. 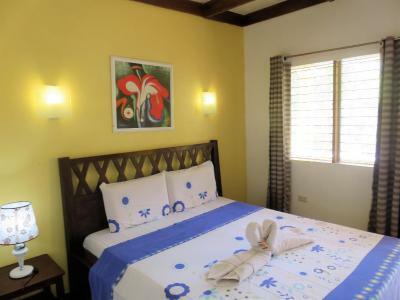 Lapus Lapus Cliff is 12-minute drive away and Mactan International Airport is a 30-minute boat ride, and a further 4-hour drive away. 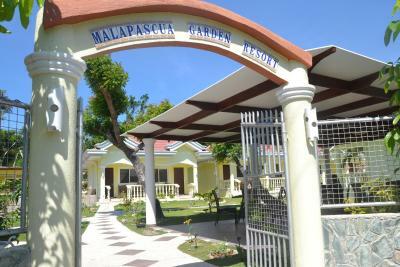 When would you like to stay at Malapascua Garden Resort? 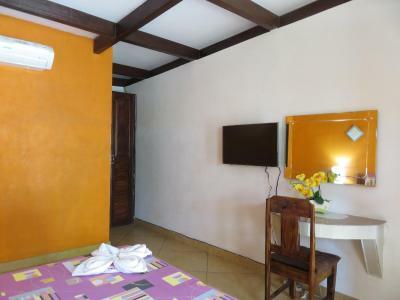 Fitted with a double bed and air conditioning, this rooms comes with a 32-inch flat screen TV, and a private bathroom with hot shower facility. A safety deposit box is included as well as a mosquito net. The patio is equipped with an outdoor furniture. 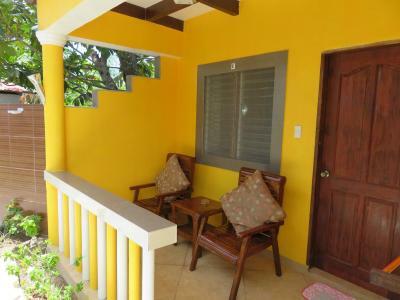 This fan-cooled room has a terrace with views of the garden and a private bathroom with hot shower facility and a toilet. 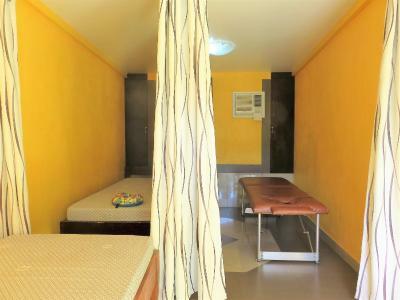 The room also includes a mosquito net. 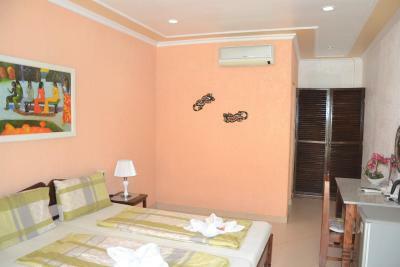 Fitted with a double bed, this room has a private bathroom with a toilet and a hot shower facility. The unit also has a wardrobe and a safety deposit box. 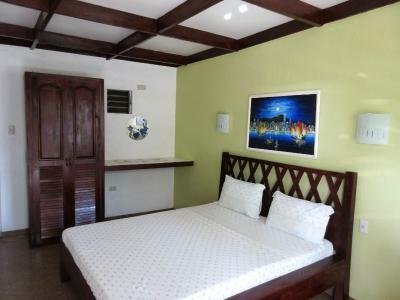 Equipped with air conditioning, this room has a 32-inch TV, a safety deposit box, and a desk. 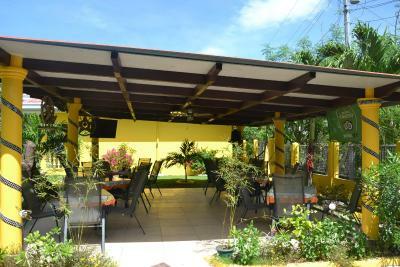 The room also features a terrace with views of the garden and an outside seating area. 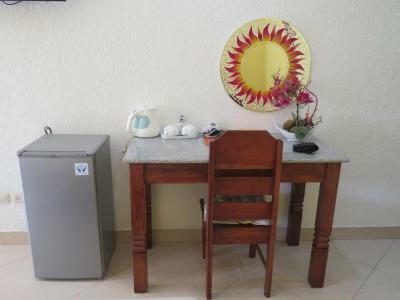 A refrigerator and an electric kettle is also included in each room. This family room has 2 queen beds with air conditioning, a desk, and a 32-inch flat-screen TV. 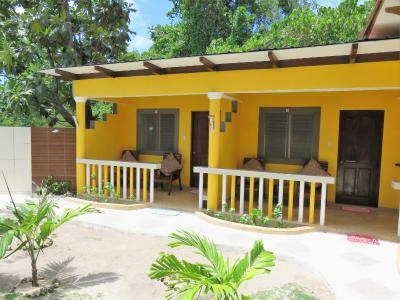 The room comes with a private bathroom that has free toiletries and a hot shower facility, while the terrace offers views of the garden along with a seating area. 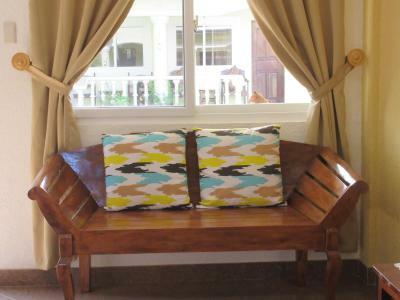 House Rules Malapascua Garden Resort takes special requests – add in the next step! Malapascua Garden Resort accepts these cards and reserves the right to temporarily hold an amount prior to arrival. No hot water. Water very salty in shower. The room itself was excellent. Very clean and looks well maintained. Our only problem was there was never any hot water. It would be ok if we where only there for a few days but we spent 24 nights there. They have a small 5 lt tank (i think its 5lt) but that is for 3 rooms so its way to small and everytime the power went out the system had to be reset. So even if you got up at 5am there was not hot water as it was of from power outages during the night. The grounds are very nice and well looked after. The cleanliness of the place and politeness of the staffs. But fix your clogged sink, please. Nevertherless, MGR is a good place to stay with CCTVs around the area. Constant drilling next door from 9am to 5pm due to construction of new building. I think managers of hotels should have the decency to warn you about this, to give you a chance to reconsider your booking. 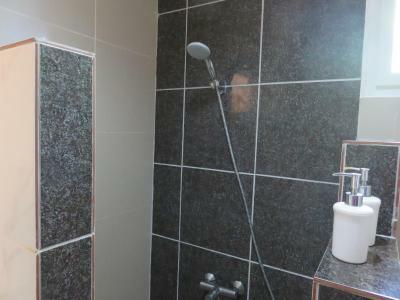 Low pressure in the shower somtimes.. but I guess becouse it was rush hour..
Big rooms, good ac, clean, good breakfasts with lots of options, lovely staff, warm water in the shower. Room was really large and very clean. Wifi was strong in all areas and very reliable. 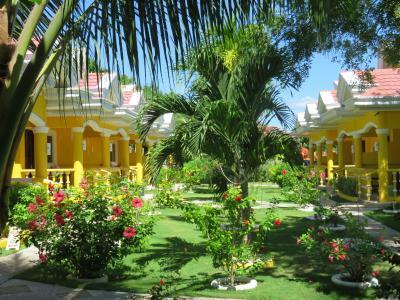 Resort is exactly as pictured. 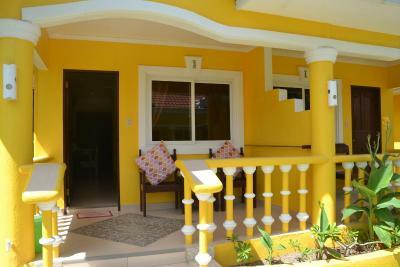 Location is really good, it is close to the beach. There are some restaurants close by and in the evenings there is a food court near the resort that grills fish and seafood. 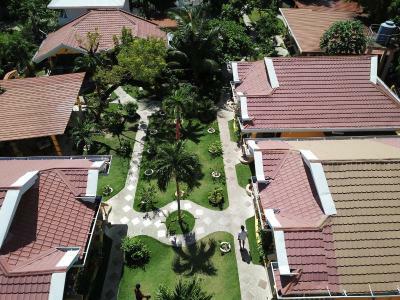 The resort and grounds are clean and well maintained. Breakfast is good with several choices and fresh brewed coffee. 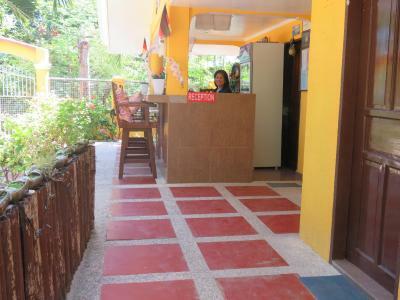 Staff is friendly and we would not hesitate to stay again. If too much clients, panic. Need more efficient management. Otherwise very good and very very helpful! Very nice place, wonderful staff and owner. Wonderful garden with flowers, sun and shadow. 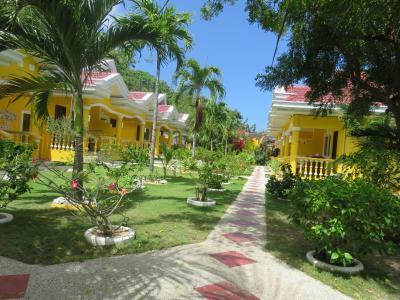 Only 14 bungalows, quiet and away from the crowd The staff was the same 5 persons all the time. Very helpful and polite. The shower water smelled bad. 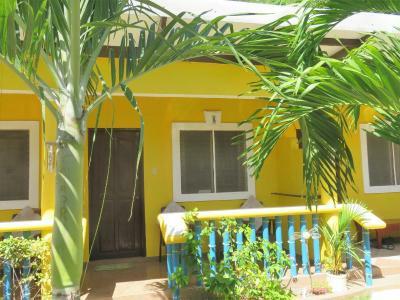 Nice place 5 minutes away from Bounty Beach. Beautiful garden and big room. Staff is super friendly and helpful. 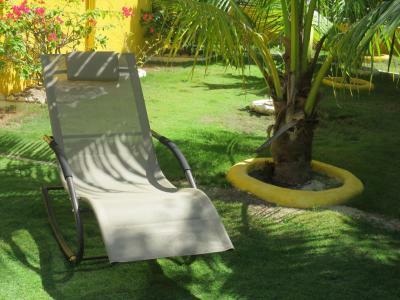 It’s perfect location if you don’t want to be in noisy Bounty Beach but don’t wanna be far from it. It’s close the square where everyone gathers at night for dinner and there’s good vibe! 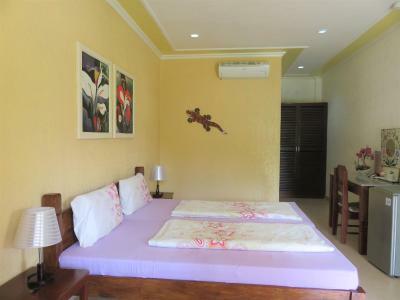 Very clean, comfortable and spacious room, really cozy bed and pillows. 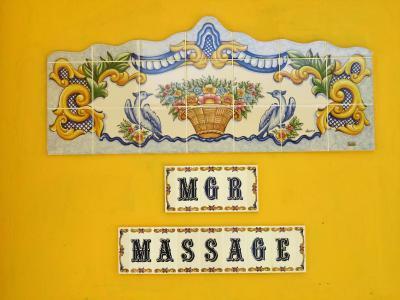 You can find everything you need in your room, also there's a full body massage option in the hotel. The staff are communicative and helpful. This is a little hard to find and the bathroom had a funny smell.